Please mail me brenda@ibas.co.uk with your full postal addy Anne. Congratulations and well done all of you, please help yourself to our Top 3 logo and wear with pride. Hello everyone, at long last here is the picture of this months prize for our All Creatures Great and Small theme (post below this one). I do apologise for the delay in posting it, but what with the Stampalot guys going off to CHA and me being unable to get my hands and fingers to coordinate with my head and being forcibly banned from the computer for almost three weeks now.......thank goodness for daughters and granddaughters who can help out with typing this post......I confess I could get quite used to this dictating business, just none too happy at being unable to craft. 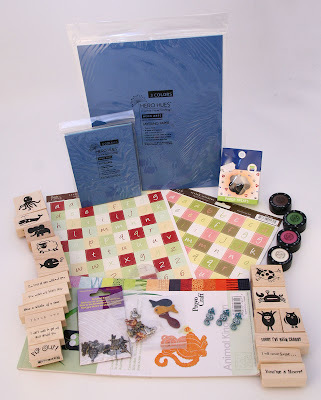 Talking of CHA (the big craft trade show held in the USA) have you checked out Smudges - Sir Stampalots blog lately ? 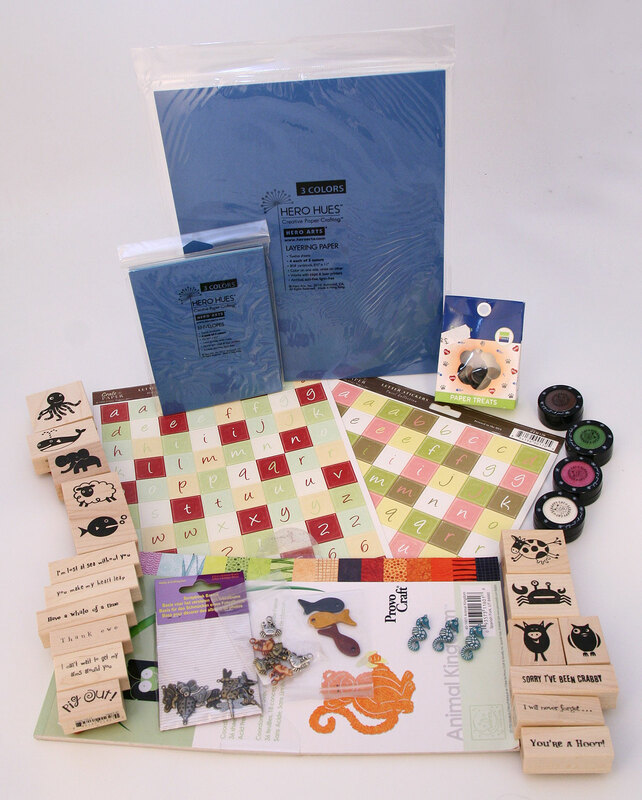 Janice has been busily loading lots of pictures of the new goodies that are coming our way, she's not got to the stamps yet so I am eagerly waiting that post, but some of the DP's from Bo Bunny and October Afternoon look awesome. So grab a coffee and have a browse through all the pictures that guys took to whet our appetites. Hello folks, are you ready for a brand new challenge ? Before I tell you about the new challenge a couple of reminders. First as it's February and a short month, the challenge will close at midnight GMT on 24th of the month to give us time to choose our winners and make the announcement. Secondly, a few peeps are still forgetting the rules which are on our sidebar, so to remind you the maximum number of combined challenges allowed are six including this challenge. I have always tried to leave a polite message when people forget.........or "tut, tut, tut" add more challenges after they enter......but in future these entries will just have 'did not follow rules' entered alongside the name on Mr Linky. .....................I know, it's a blue gift box. Truth is Andy and Janice have been flat out with the sale and along with preparing to head off to the States for the big CHA Trade Show this week, nobody got round to taking a picture of the goodies. But if things run true to form there will be some fab pictures coming back across the pond with sneak peeks of all the new goodies that will be coming our way this Spring and I promise to share with you along with a picture of this months prize just as soon as I can. Our Guest Designer this month is Carol who has created this wonderful easel box to share with you all. Tea time, but who for ?